Naughty and Nice Mix is a recipe of polar opposites. You have dark chocolate and white chocolate, sweet tastes and salty tastes. The reason I dubbed it Naughty and Nice Mix is because of how you handle the mix- you can be naughty and eat it all yourself (guilty!) or nice and share it with others. This recipe is a great way to clear out your pantry too. I used white chocolate chips and semisweet chips because that’s what I had on hand. 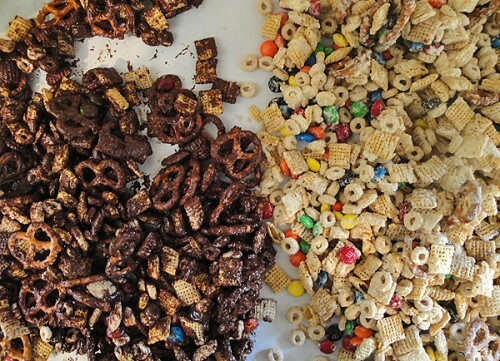 I also used rice Chex and corn Chex and honey nut Cheerios because I had those available too but any Chex and Cheerio will work. You’ll need something salty- I used pretzels but any chips or even plain popcorn or nuts will work too. You can upgrade the M&Ms to Reese’s. This recipe is so customizable so have fun with it. 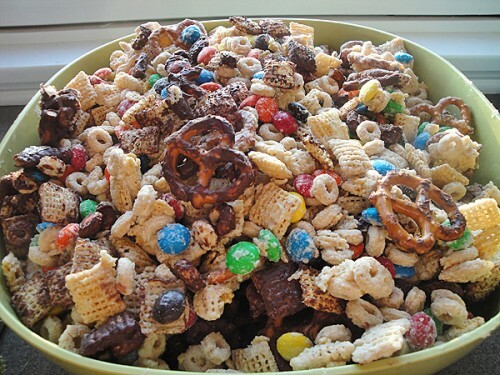 In the largest bowl you have, combine the first 5 ingredients until evenly mixed. 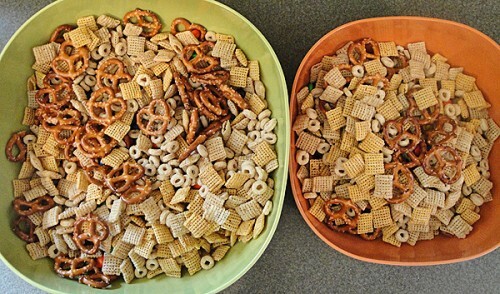 Evenly separate your mix into two bowls. Heat the white chocolate chips until melted. You can do this by microwaving 30 seconds at a time or in a double boiler. Pour white chocolate over one half of the mix. Once combined, spread the white chocolate mix out on waxed paper. Repeat the heating process with the semisweet chips. Pour the semisweet chocolate over the other half of the mix. Once combined, spread the dark chocolate mix out on waxed paper. Let the two halves cool for an hour and break any clumps into smaller pieces. 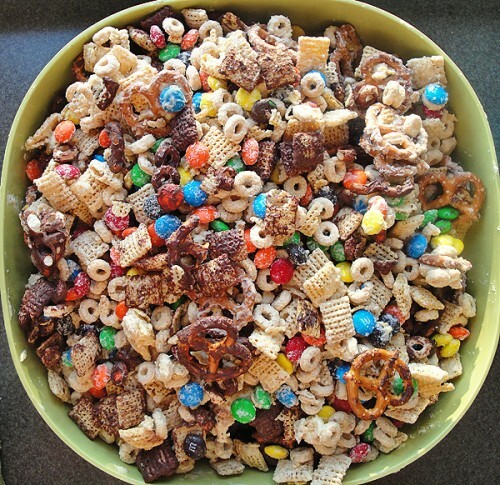 Place the mix back into your biggest bowl and enjoy!